Determined to spend her life helping others, Jan Klosterman set her sights on being a nurse at a young age. She worked hard to achieve her goal, earning a nursing diploma from the Jewish Hospital School of Nursing in 1979 and eventually becoming a certified nurse life care planner. After decades of clinical experience, her journey brought her to a new niche: medical and legal consulting. She fell in love with the work, and to bolster the knowledge gained from hands-on experience, obtained certification in life care planning in 1999 and Medicare set-aside consulting in 2005, and became a certified brain injury specialist in 2014. 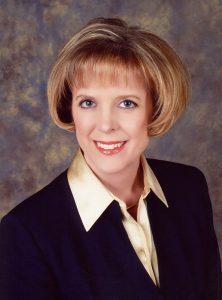 Ms. Klosterman used her unique background to open Klosterman & Associates in 2006, and is currently working to provide litigation and expert witness services. One of her main responsibilities with the firm is life care planning, which includes determining future care needs for someone who has a catastrophic injury or illness and consulting on related issues. When Ms. Klosterman isn’t working, she is presenting on medical record review, nursing assessment and life care planning. She stays connected to her peers through membership with prominent organizations like the American Association of Nurse Life Care Planners and the American Association of Legal Nurse Consultants. Previously, she held elected leadership positions with the groups, such as president-elect and president. Looking to the future, Ms. Klosterman intends to establish a nonprofit foundation to help families navigate through catastrophic injury.